Lawyers and attorneys fighting the insurance companies for you. The state of Florida is no doubt possibly the most tormented place on the planet when it comes to hurricanes. While life in Florida attracts millions of visitors from the snow birds to international models and uber rich playboys as well as a huge migration of retirees who choose to move south every year, Florida hurricane history can certainly turn this normal paradise into a nightmare within hours. Hurricanes have been recorded in the region for over 500 years however it wasn’t until the 1800s that hurricanes really began to be understood. During the 1800s scientists were able to really figure the workings of a hurricane and forecasters were able to begin to predict and warn the public about dangerous pending storms. 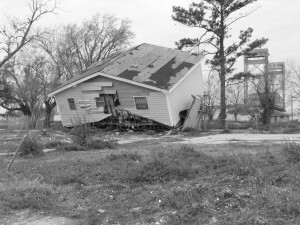 According to the NOAA’s (National Oceanic Atmospheric Administration) records dating back to 1900, only one year prior to 2001 saw more than one significant hurricane in the United States. Many of these of course have caused the most devastation in Florida. In 2001 we saw two hurricanes and that continued an upward trend in both 2004 and 2005 when we saw 4 hurricanes each season including Dennis, Wilma and Katrina. This increase in hurricane activity does not look like it is going to die off any time soon with another record year expected in 2010 which according to forecasters could make the previous century’s storms seem like nothing more than a warm summer breeze. Less than 2 months into the 2010 season have already seen two hurricanes, the second already hitting Florida and many more expected to come. The worst hurricane to strike the US ever was the Okeechobee hurricane of 1928. This hurricane made landfall in Palm Beach on September 11th. It had already killed 1,000 in Puerto Rico and was far from over. While Floridians on the coast were somewhat prepared, those inland had no idea of the devastation that was in store for them. The hurricane filled Lake Okeechobee to the brim until dikes broke and the flooding killed 2,000. The Florida Keys and Miami have also suffered several major hurricanes and Fort Lauderdale has often found its self cowering under the eye of incredible tropical storms. Some of the most notable storms to have come through include the 1926 Miami hurricane and Hurricane Andrew in 1992. Though the most devastating hurricanes in recent years have been Wilma and Katrina, which was responsible for the deaths of 1,836 and over $81 billion in property damage. While Florida hurricane season runs from June through November, historically the statistic show August and September as the most active months with many of Florida’s worst hurricanes happening in September. What the future holds in the coming years for Florida we will have to wait and see. Certainly Florida remains just as fun and exciting and offers a level of beauty and quality of lifestyle that is envied around the globe. Wise travelers and Florida residents just need to remember to be prepared and to head the warnings and evacuate when need be.